In an effort to lessen Manila’s traffic congestion, the government launched the Premium Point-to-point (P2P) Bus Service in March 2015. This move successfully made traveling easier and more comfortable for the commuters within the metro. 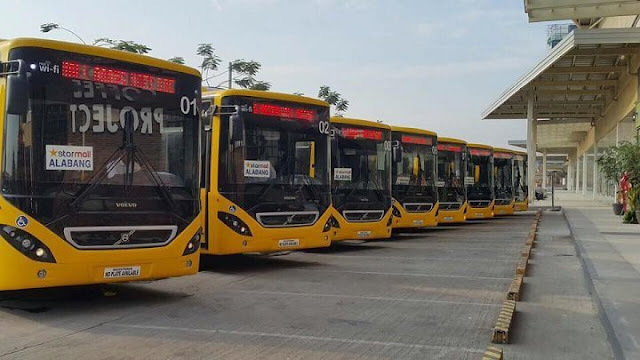 The Premium Point-to-Point Bus Service introduced two new routes on Thursday, one connecting Starmall Alabang to Vista Mall Daang Hari in Bacoor, Cavite, and another connecting the latter to Dasmariñas, Cavite. “The opening of the new P2P routes is expected to help reduce traffic congestion and encourage private car users to use public transport,” the Department of Transportation said in a statement. The introductory regular fare for the Alabang-Bacoor route is P50, while students, senior citizens, and persons with disabilities (PWDs) are priced at P40. The Bacoor-Dasmariñas route meanwhile cost P70, while students, senior citizens, and PWDs are priced at P56. The routes will operate from 5:00 a.m. to 8:00 p.m., with a fixed schedule of trips that depart every 15 minutes during peak hours and every 30 minutes during off-peak hours, regardless of passenger count. Last year, the DoTr and operator RRCG opened the P2P Alabang-Ortigas route with pick-up point at Starmall Alabang and drop-off points at Robinson’s Galleria and Starmall Edsa from 6:00 a.m. to 8:00 p.m. The current existing P2P routes are: Trinoma to Glorietta 5 in Makati / Centris to Glorietta; Robinsons Galleria to Park Square Makati; Alabang Town Center to Greenbelt 1; SM North Edsa to SM Megamall; Fairview to Makati; Alabang to Ortigas; Starmall Alabang-Vista Mall Daang Hari, Bacoor; and Starmall Alabang-Dasmariñas.